Tucked away in Buffalo, NY, in the "city of good neighbors" Templeton Landing is a mini escape from the humid summer days. We had the opportunity to visit Templeton Landing just about a year ago while attending a family reunion. After touring Niagara Falls and Amish Country it was a welcome opportunity to kick up our feet, relax and enjoy some wonderful cuisine. Plus we got to leave the kids with Grandma! Ok. The cat's out of the bag! (please don't tell our other clients!) We are so lucky to have such a wonderful working relationship with the Templeton Landing Marketing team over the past 5 years. We have taken the journey together and 159 projects later, we have rebranded the restaurant from their patio, to there lounge and their dining room. The rebranding process has taken us through new fonts, check presenters, flyers, table tents, menu designs, banners and so much more. They are rocking their new look and feel, and as you can see from the packed photo above, they have a very healthy clientele. From the famous fish fry to the fresh catch of the day, you know you are near the great lakes with their exquisite menu. On our visit we happened to start the evening off with the spinach artichoke dip. Then moved on to the gorgonzola crusted sirloin and the pan seared salmon. My mouth is just watering thinking about these dishes. The evening would have not been complete without the triple chocolate cake. 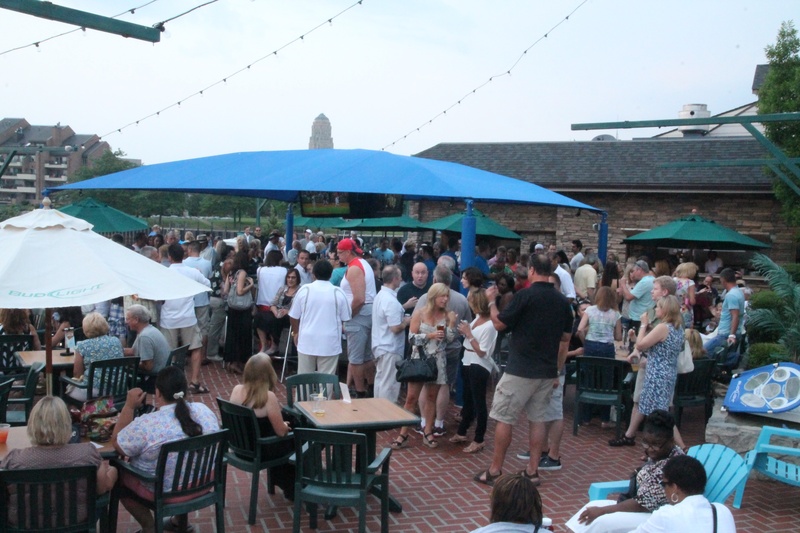 Last summer they boasted Martini Mondays, Scotch and Stogie Tuesdays and Buffalo Brew Wednesdays. This year they have REALLY kicked it up a notch with amazing promotions Every. Single. Day. There is no denying this is definitely the #BestSpotInBuff. This year you can get specials at all hours on all days of the week including 50¢ wings, $3 wine and $1 hotdogs. I guess it is a good thing our office is not in Buffalo, or else you would find our team pitching a tent to get in on all these great deals every day! It is very rare to find a restaurant that truly caters to all, but Templeton Landing does just this. You should have seen our design team's faces while explaining how they have 3 separate dining areas that would need 3 separate menus. 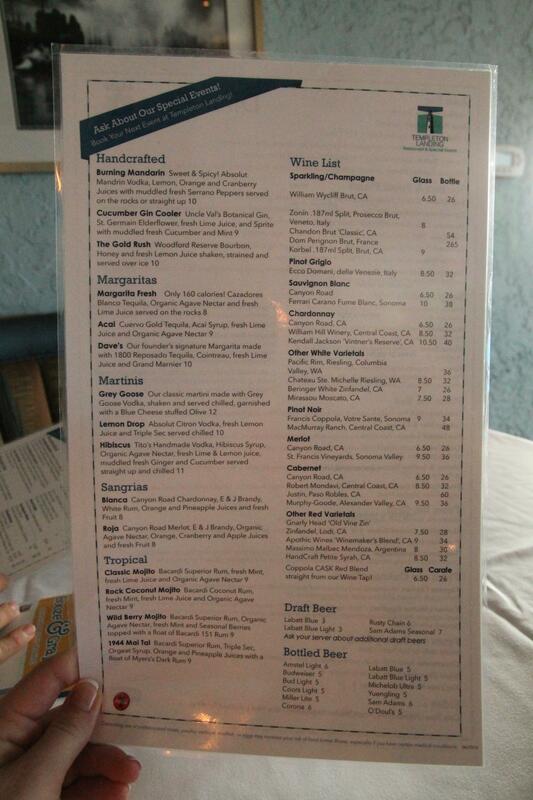 Not an easy concept to digest as a graphic designer who is accustomed to doing one menu for one restaurant. While visiting the past summer, we could clearly see how the layout of the restaurant is perfect for this concept. 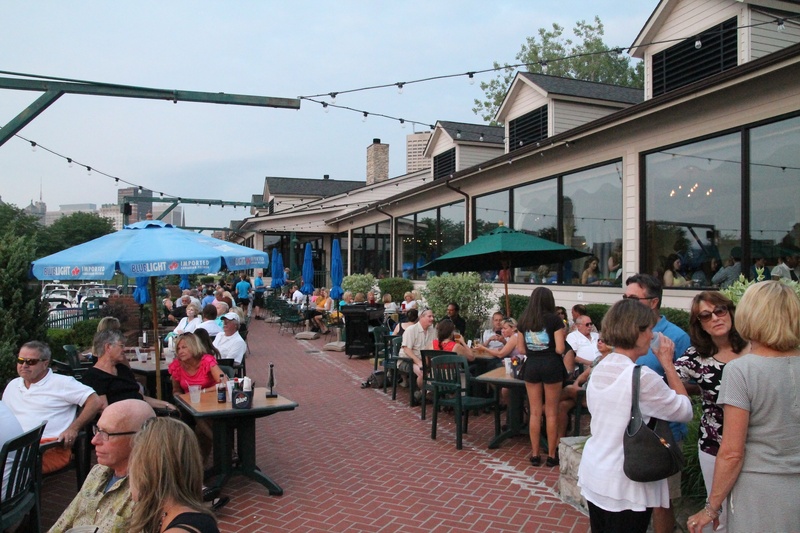 They have the outdoor patio which we branded as #TheDeck where you can get pizzas and beer and listen to live music and just have rockin' great time. Then there is the indoor lounge if your scene is more quiet and exclusive. You can sip your whiskey (can whiskey be sipped?!) and smoke your stogie and just unwind from the day. And then there is the traditional dining room where you can go with the family and enjoy 5 star cuisine with the view of the lake. Social media is very important these days in the restaurant marketing industry. You need to be active and on the forefront if (a.) people are going to hear about you and (b.) if they are going to try you out. 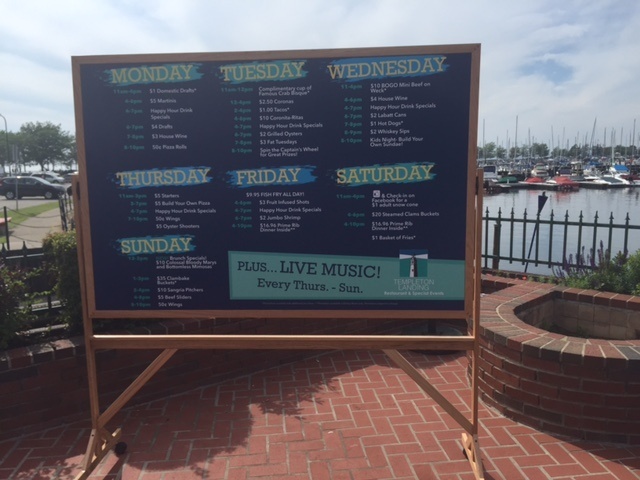 Another thing we love about Templeton Landing Restaurants is that they realize the importance of this and have a very active facebook page and twitter page where you can get all of the updates on special promotions, events and menus. In conclusion, We Love Templeton Landing! All in all their food is phenomenal and there is a special atmoshpere for everyone no matter what they are looking for.